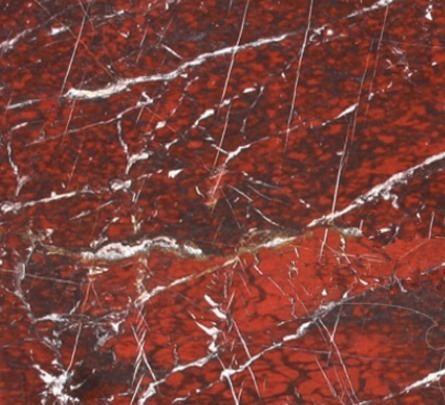 Il Rouge du Roi is an historic Belgian marble renown for its intense red color. This marble was already used during the XVIII and XVIX centuries for many churches and noble palaces in Northern Europe. Many precious white veins and some rounded “knots” are traced on the deep red surface of the slabs. Some of the “knots” are fossils of shells, mollusks or ammonites. Rouge du Roi is a marble used for floorings, chimneys, countertops or other architectural details. The most common finishing applied is the polished one. Rouge du Roi is also knoen as Rouge Griotte or Rouge Antique.